Cold temperatures and bitter winds have parked themselves here in the Northeast over the last 4-5 days and with cold weather comes an increase in the consumption of comfort foods for yours truly. Comfort foods mean different things to different folks; for example, I’m comforted by the following food items: fresh bread, cheese, olives, salumi, pasta, rice, and stew! Some crazy folks have even suggest comfort foods don’t exist – we think they need some comfort food like our Italian Beef Stew with Rosemary and Oregano dish. 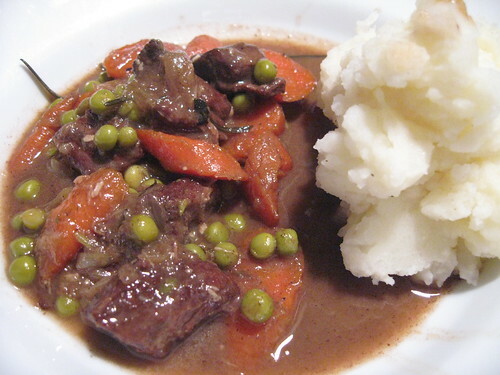 Specifically on beef stew as a comfort food, I enjoy slow cooked beef with nice chunks of carrot and petite peas. Our Italian Beef stew recipe is adaption of my wife’s beef stew (originally adopted from an Irish American recipe), which includes rosemary (fresh or dried), oregano (dried), and Chianti (hence the Italian moniker). 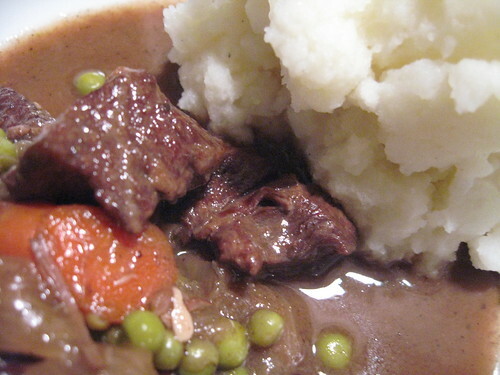 We like to serve our Italian beef stew with homemade olive oil based mashed potatoes. 1-2 pounds of Beef. 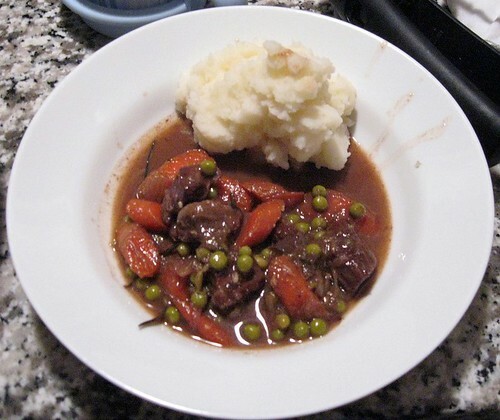 The best cuts for stew include: Chuck, Chuck Shoulder, Chuck Roast, Chuck-Eye Roast, Top Chuck, Bottom Round Roast, Bottom Eye Roast, Rump Roast, Eye Round Roast, Top Round, or Round Tip Roast. You can use lamb (same cuts as above). Season one pound of chuck beef with salt, pepper, garlic and oregano. Dredge the meat with ¼ cup of flour and shake off any excess. Heat 2 tablespoons of olive oil in a large pot. Brown the meat on all sides. Remove meat with a slotted spoon and all but about 2 tablespoons of oil (add more fresh oil if necessary). Add four carrots, one red onion, three stalks of celery, and one small potato (cut into large symmetrical pieces). Cook for about 5-10 minutes or until the vegetables start to soften. Bring to a boil and then reduce heat to a simmer (cook for about two and a half hours or until the meat is fork tender). After the two and half hours, add salt and pepper to taste and one can of fresh or frozen peas. Now THAT is a winter dish! I can just smell it cooking – yum! Why havn’t you made us this? The pic’s look great. I’ll be over Fri nite. Nothing better for the soul than comfort food during a snowstorm. Hubby made braised short rib ragu and gnocchi the other night. Have some in the freezer. Think I’ll defrost it for tomorrow. (photo: Italian pot roast ready to be served)One of the most widely successful ways to cook meat on the planet is via the braising method. The Chinese, French, Moroccons, Italians, and Swiss, for example, all have “pot roasting” traditions….